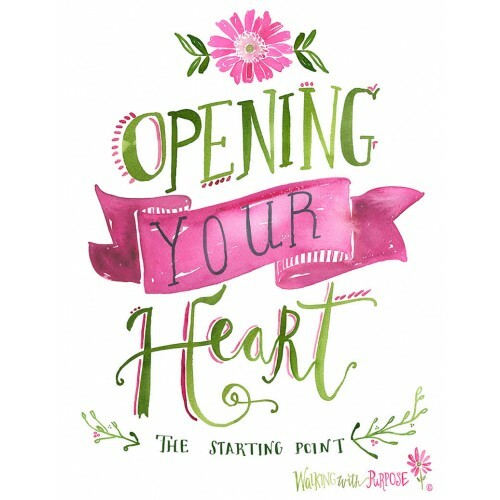 Opening Your Heart: The Starting Point is our foundation Bible study, and we recommend all participants new to Walking with Purpose begin here, regardless of previous experience with Bible study. We encourage everyone to experience Opening Your Heart because we believe this Bible study is an incredibly effective guide to deep, lasting transformation of the heart. Join us as we take a deeper dive into the core questions that we need to wrestle with if we want to experience all that God has for us. How can I conquer my fears? What is the role of the Holy Spirit in my life? What does the Eucharist have to do with my friendship with Christ? What are the limits of Christ’s forgiveness? Why and how should I pray? What is the role of suffering in my life? What challenges will I face in my efforts to follow Jesus more closely? Do you sometimes doubt if God really loves you? Are you searching for purpose? Do you struggle to ..